It's 6 more days to Christmas! I mean, are you ready for it?? You might have your dates coming on soon, and if you have no idea where to go in Singapore, here are some ideas! But of course, this would depend on your budget! Ok let's just start with the obvious and overly mainstream place: Orchard Rd. As repetitive as it could be, Orchard Rd is still the best place to go to feel the festive vibes. There are Christmas lightings, Christmas trees indoors and outdoors, camera-worthy decors outside the never-ending malls. I mean, just by walking down the street, you'd be feeling festive already! 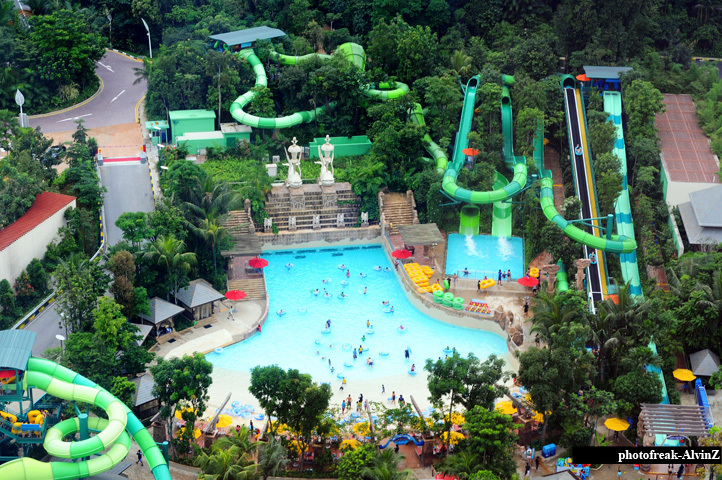 Next would be to getaway island Sentosa. Sentosa is definitely a one-day (or more) place, meaning you'll be spending the whole day there because there's just so much to see! One being the renowned Universal Studios Singapore at Resorts World Sentosa. USS is now having a Christmas event special. S$50 for entry to USS from 5pm to 9pm. There will be special programs such as Fireworks, snowfall, Sesame Street special and Santa meet-and-greet! You can even enjoy the normal attractions in USS as well! All these for a special price of S$50 (U.P. $78). If USS doesn't sound right to you, you can definitely check out the rest of the island, such as the beaches, the SEA aquarium, Adventure cove waterpark or take a good walk at Sentosa Cove to really feel the tranquility of the residences there. You can even catch Peter Pan the musical at Resorts World Theatre if you're a fan! Or maybe if you fancy museums, try the Trick Eye museum to take photographs that blow your friends' minds off! Next we move to less mainstream activities. Have you heard of cafe-hopping? What I'm saying is, you eat from one cafe to the next, to the next, to the next. Sounds good? There are many hipster enclaves now in Singapore. There are the Tiong Bahru estate, Duxton Hill, Ann Siang Hill, Everton Park, Holland Village, Dempsey Hill and many more. Take your pick and you have a stomach-fulfilling trip with your date! If you think that these hipster areas are still too mainstream for you and you're more adventurous, you can check out Kampong Lorong Buangkok. They are literally the last surviving kampongs in Singapore, and yes there are actually people living in there. 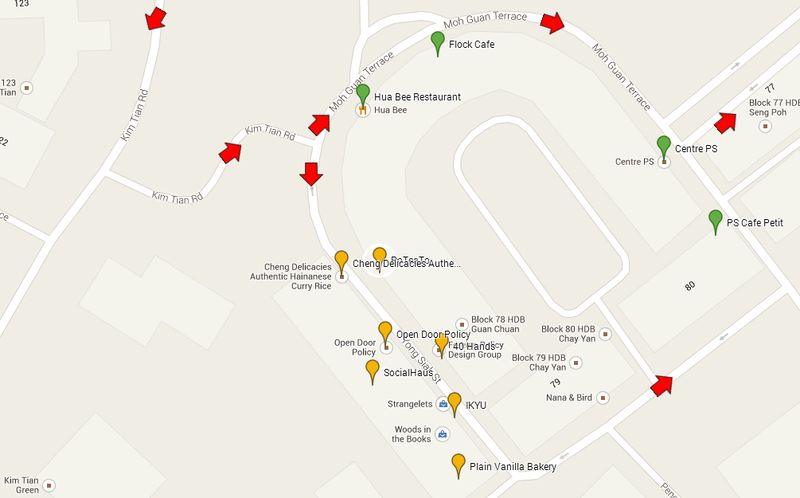 You'd have to drive, cycle or take a taxi there though as it would take 30 minutes to walk from the nearest MRT. It is definitely camera-worthy, so prepare your camera and the most hipster outfit you have! If none of these appeal to you, there's always movies you can catch! I personally love Golden Village, and if you want to splurge, buy tickets to the GV Gold Class theatres. They are super comfortable to watch long-running movies in. You can even order gourmet food while enjoying the movie! Some interesting movies showing now are the blockbuster Hobbit, Exodus, Interstellar, Mockingjay Part 1, Disney's Big Hero 6, Penguins and many more. If you're up for it, you can even try their D-box theatre, which features 4D technology. Or, if you want it to be a romantic setting, Gemini theatres are great to isolate yourself from other couples. Next, we have the luxury options such as fine-dining. This is also a perfect way to end the date! These are for all those who don't mind spending on their date. There are actually many fine-dining places in Singapore. There is the renowned Equinox, Tippling Club, Jaan Restaurant, 1-Altitude, Catalunya and many more. If you prefer Japanese, there is Waku Ghin, Shinki by Kanesaka and GOTO Japanese Restaurant. If you want to try something totally different, try NOX Dine-in-the-dark. Although there would be zero eye contact (because you're literally dining in the dark together), it's a very special experience to have together and you can talk all about it after the meal! Another unique experience would be dining in the ferris wheel. 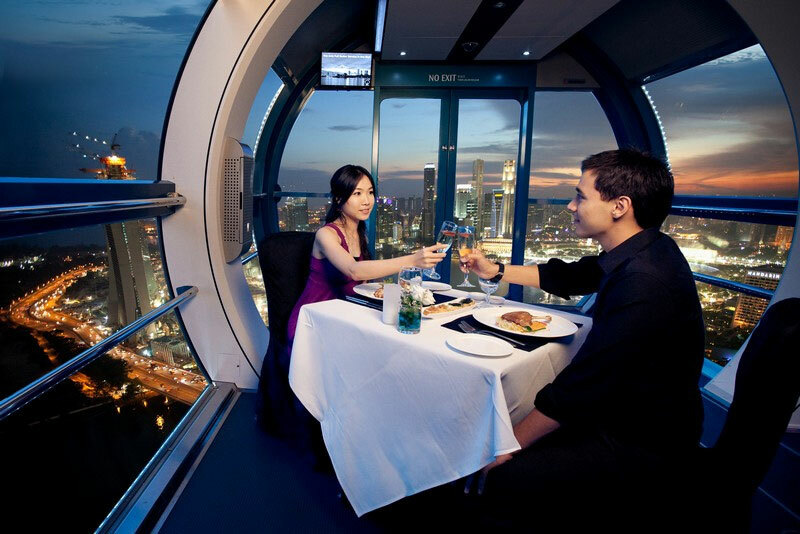 I feel that it is such a romantic gesture and experience as you dine together alone as you reach the highest point of Singapore. No one can possibly disturb you other than perhaps the butler or the waiter. But ya, you get the idea, right? Feel like having a stay-cation? 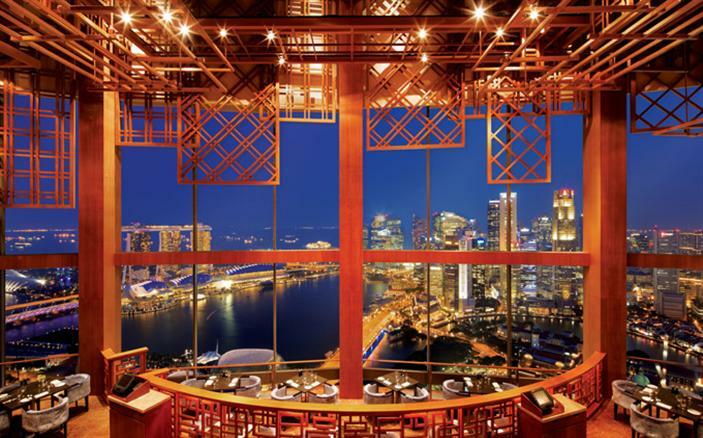 There are so many hotels in Singapore to choose from, and most of which are boutique hotels. We have themed hotels such as Wanderlust Hotel and New Majestic Hotel, boutique hotels such as Lloyd's Inn, BIG Hotel, The Pod Boutique Capsule Hotel, Studio M Hotel and Club Hotel. These hotels ensure that you have an unforgettable staying experience, and don't forget to take pictures for keepsakes!